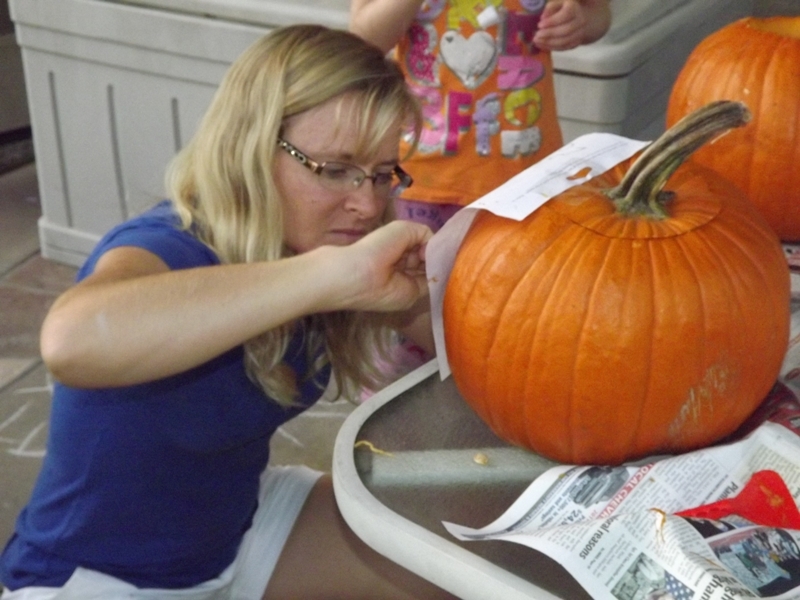 Recovering Working Mom: From Pie to Princess . 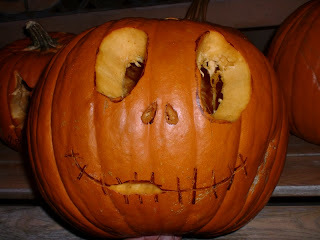 . .
Halloween family fun and other shenanigans are ramping up. 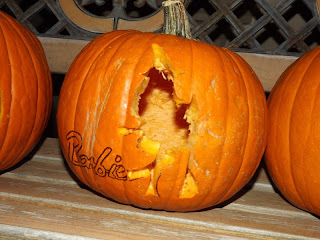 Yesterday we had a “kids” party where Aurora, the three fairies, and oh yes, even Prince Phillip made an appearance, and today we carved our pumpkins. Of course, it wouldn’t be a Dugdale Halloween without some mishaps and missteps along the way. Prince Phillip cleans up nicely too, doesn't he?! I still can't believe I got him to put the costume on. 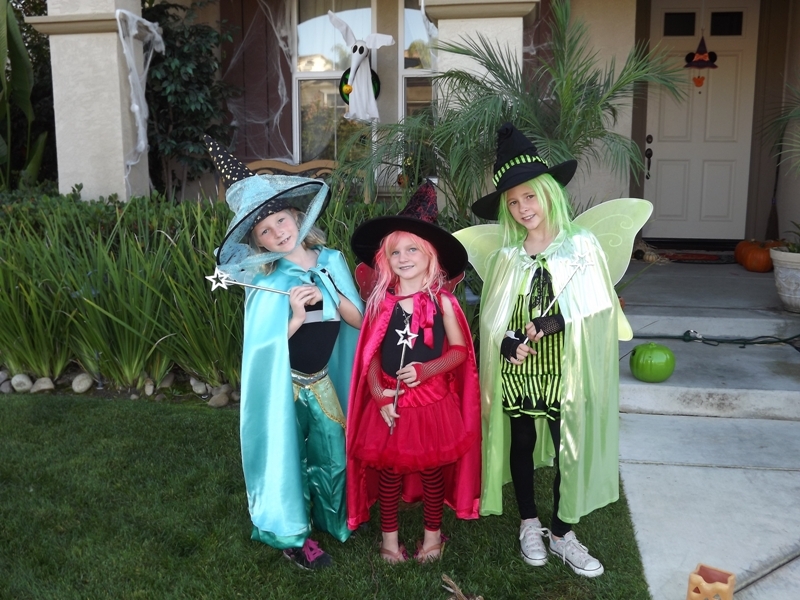 2) When you have the bright idea to dress as Aurora (Sleeping Beauty) because your hair has grown so long it would be perfect, and you have three little girls that you think you can manipulate into dressing as three fairies . . . think again sister! 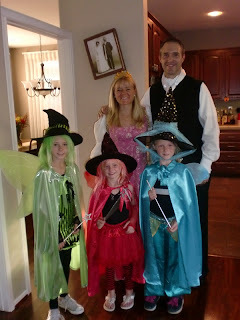 The children absolutely refused to dress as the traditional Flora, Fauna and Merryweather. So, we made a compromise . . . they could dress however they wanted so long as they were the corresponding color – Blue, Red or Green. So, I present to you . . . Flora, Fauna and Merryweather . . . Dugdaleified! tutu wearing devil with a red dress on! 3) Word of caution . 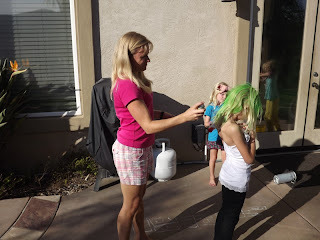 . . when you have children who have very very blonde hair, it may not be a good idea to spray it with hair dye. We’ve now washed the Superego (the oldest) and the Id’s (the baby) hair about three times and it’s still green and red respectively. I’m soooooo getting a “Dear Mrs. Dugdale” letter about the Id’s pink hair. Oh, and when you spray the children's hair, you may want to stand far away from your back door. If you do not, you may end up spray painting the back door pink. I still can’t get the pink dots off the door frame. Is that something we have to disclose when we sell the house?! 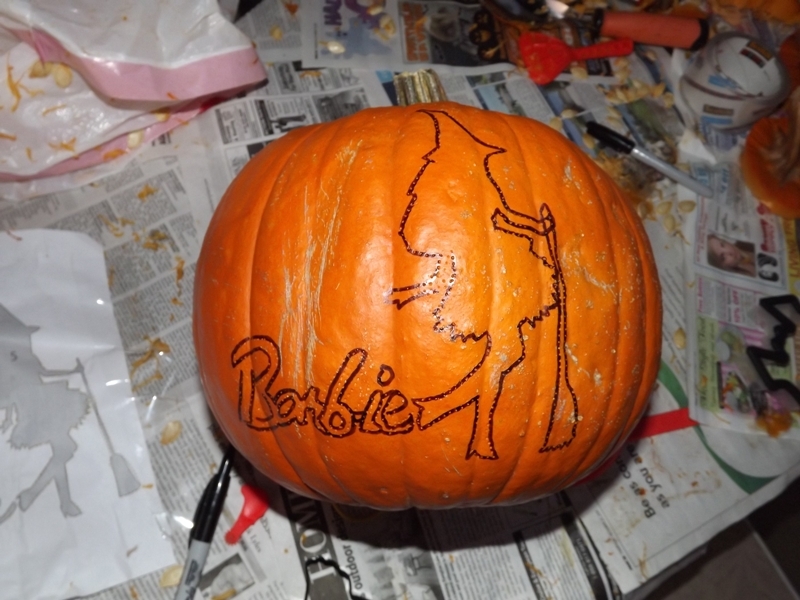 to carve the name "Barbie". 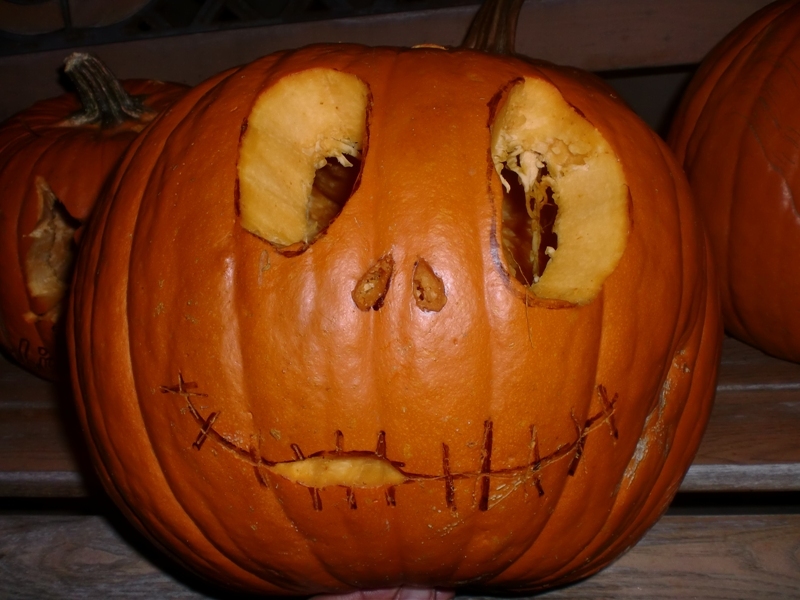 Recommendations for today – stick with the smiley face jack-o-lanterns. I think I have carpal tunnel syndrome from trying to stencil out the faces on mine and the Id’s pumpkins. You could also pay your 9 year old to free hand a pumpkin. The little booger free handed Jack Skelington. Where does she get that kind of talent?! Definitely not from her “Paint by number” mother. When your kids don’t want to dress up in the “theme” you’ve chosen, go to where they are and be flexible. It may turn out much better than you expected. By the way, my family fun shenanigans caught up with me last night. After the party I came home and went to bed at 8:45pm and slept until 7:15 this morning. I was so exhausted!